This has been made clear by Prof. Dr. Valeri Yotov from the Varna Museum of Archaeology (Varna Regional Museum of History), who is in charge of the rescue digs in the downtown of the Black Sea city, as cited by the Bulgarian daily Standart. 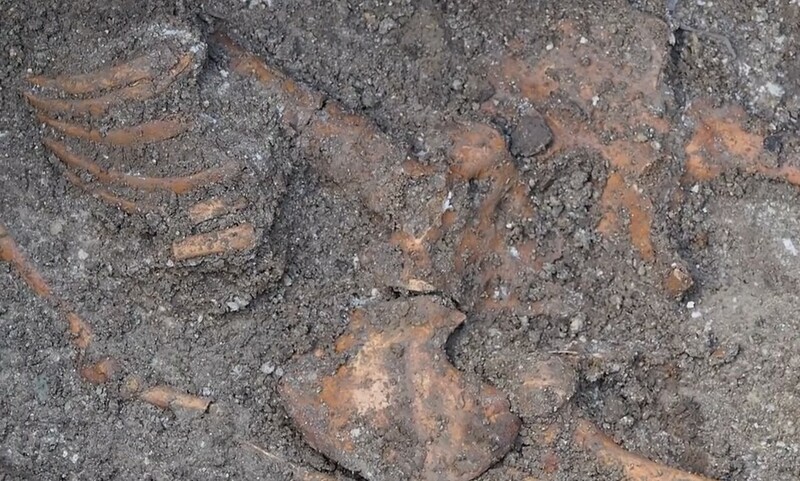 The story about the discovery of the seemingly giant skeleton partly buried under the fortress wall of the Ancient Thracian, Greek, and Roman city of Odessos (Odessus) on March 17, 2015, has become the most read story published by “Archaeology in Bulgaria" so far, and has been cited by archaeology and general interest sites from around the world. However, readers have been left to wonder about the precise size of the Varna skeleton. Ten days later this question remains unanswered as it turns out that the Bulgarian archaeologists, following a very gradual approach, have not dug up the skeleton completely yet, and, respectively, have not measured and studied the bones. Lead archaeologist Prof. Dr. Valeri Yotov has been trying to convince the media and the passers-by in downtown Varna that the discovery of the “giant" skeleton is not the most interesting development about the rescue excavations of ancient Odessos “despite the recent interest in vampires and ancient dead men", the Standart daily reports. “That is not the case here," Yotov is quoted as saying, reiterating his earlier comments that there was nothing unusual about the skeleton find, and that the man buried below the Odessos fortress wall was neither or a “vampire", nor a representative of some race of ancient giants. He sticks to his working hypothesis that the man in question, whose skeleton is dated back to the late 4th century or early 5th century, was probably a construction worker who died during the construction of the Odessos (Odessus) fortress wall, possibly from a work-related incident, and was buried right on the spot, in a pit dug up for construction purposes. 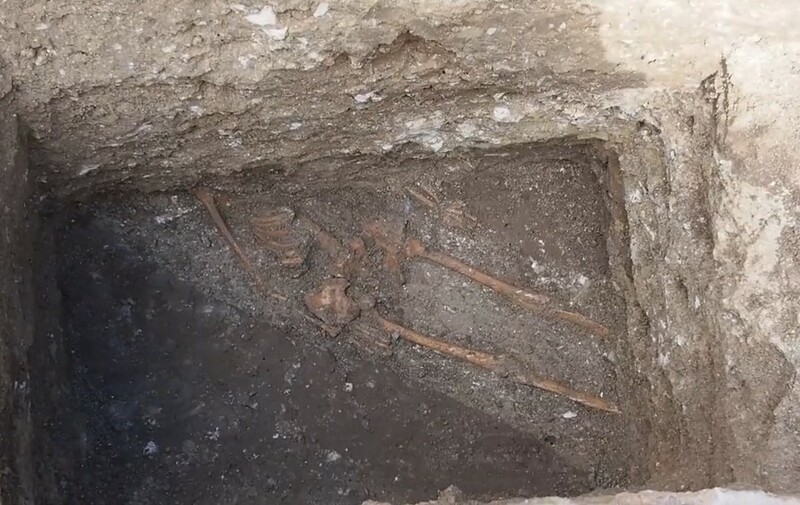 Instead of focusing on the tall man’s skeleton, the archaeologists from Bulgaria’s Varna are now focused on discovering the main gate of ancient Odessos. During the rescue excavations so far the researchers from the Varna Museum of Archaeology have discovered ancient earthen jars as well as a hand mill and a new section of the fortress wall of Odessos. The digs were undertaken in the area around the St. Nikolay Church and the so called Varna Largo along the Knyaz Boris I Boulevard, the pedestrian zone in the Black Sea city, after in January 2015, construction workers found an earthen jar, or pithos, during rehabilitation and reconstruction works. Also in January 2015, construction workers rediscovered a long-forgotten Ancient Roman tomb nearby. Despite the numerous new discoveries, the local archaeologists still have no information about the main gate, or the entrance of ancient Odessos, another archaeologist from the Varna Museum, Alexander Minchev, is quoted as saying. According to lead archaeologist Yotov, it is possible that the current excavations might stumble upon one of the gate of the Late Antiquity fortress of Odessos (Odessus), and the road which led to another Ancient Thracian, Greek, and Roman city on the Bulgarian Black Sea coast, Dionysopolis, today’s resort town of Balchik. Yotov has explained further that rescue excavations in downtown Varna back in the 1970s revealed that the area was the location of a fortress tower connected with the system of ancient fortifications of Odessos, and that the recent accidental discovery of the northeastern fortress wall during the rehabilitation and construction works was not entirely unexpected. The exact location of the fortress tower in question is near a fountain with dolphin statues in front of the St. Nikolay Church. This is an area yet to be excavated during the ongoing digs. The foundations of the fortress tower are at a depth of 2 meters, and are 3.7 meters wide. “Ancient Odessos had several fortress walls from different periods – a wall from the Hellenistic Period BC, a Roman fortress wall with one tower which is under today’s pedestrian zone, and now the newly found Late Antiquity wall," the lead archaeologist explains. The first two fortress walls are located in the so called “Varna Hole", a large pit in the downtown originally dug up for the construction of a Communist Era department store in 1980s which has been used as a paid parking lot after the abandonment of the project, and is seen as a symbol of government mismanagement. Yotov reminds that the Varna Hole was supposed to be transformed into an open air museum because of the Odessos wall remains it features but it is known when and how these plans might be realized. He emphasizes the importance of excavating the newly found Late Antiquity fortress wall because it might lead the archaeologists to more buildings inside the wall. The Varna archaeologists intend to make a formal suggestion to the Bulgarian Ministry of Culture and Varna Municipality that the newly uncovered remains of ancient Odessos be restored and exhibited in situ as part of the new look of the Varna Largo, a busy pedestrian area visited by many tourists, including from abroad. Even the earthen jar whose discovery triggered the current rescue excavations may be preserved and exhibited in the original location where it was found. According to the head of the Varna Museum of Archaeology, Prof. Dr. Valentin Pletnyov, a 20-meter section of the Odessos fortress wall is likely to be built into the new pedestrian zone at the Varna Largo. He also confirms that the archaeologists had had a general idea about the location of the newly found Late Antiquity wall of Odessos but had not stumbled upon it before the present excavations. Varna Mayor Ivan Portnih is also reported to be in favor of the in situ exhibition of the new Odessos finds. Varna Municipality, which is the investor in the project for the rehabilitation of the downtown, will also foot the bill for the current rescue excavations whose cost is estimated at BGN 10,000 (app. EUR 5,100).